The future of kitchen might be on custom printable food. 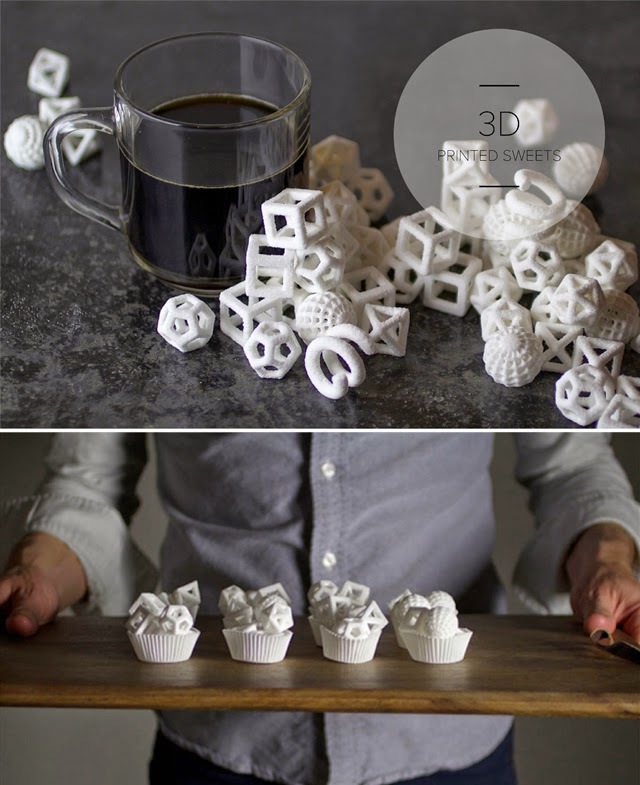 These delicate geometric sugar bits have been printed with 3D Systems ChefJet™3D Printer Series. The printer adds water to soften the sugar to be printed and then mixes in alcohol so that the sugar sets once in its in place. You can choose variety of edible printable materials like chocolate, vanilla, mint, sour apple, cherry and watermelon. via 3D Systems. Images via The Sugar Lab.